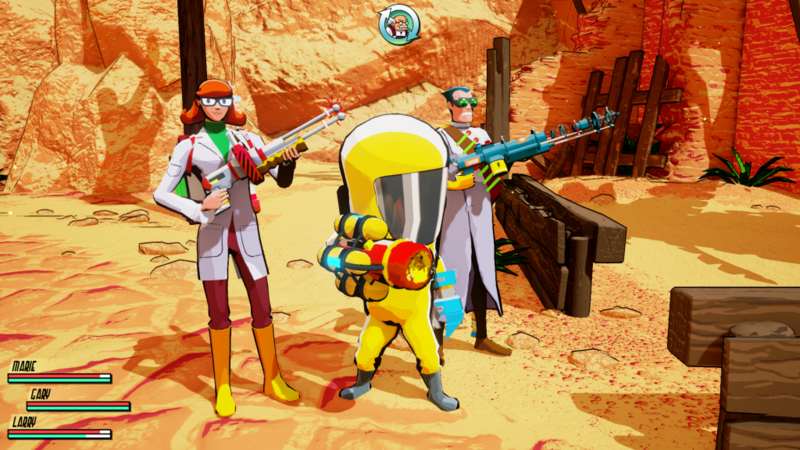 In Research and Destroy players control squads of Super Scientists as they attempt to sterilize the world of the Supernatural forces that have crushed humanity. 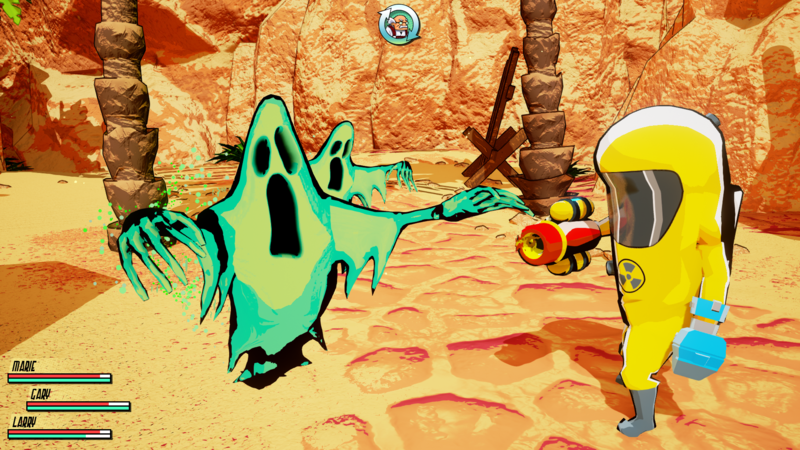 The only things that can stand against the tide of darkness are brains, cooperation, and maybe some high frequency oscillators. 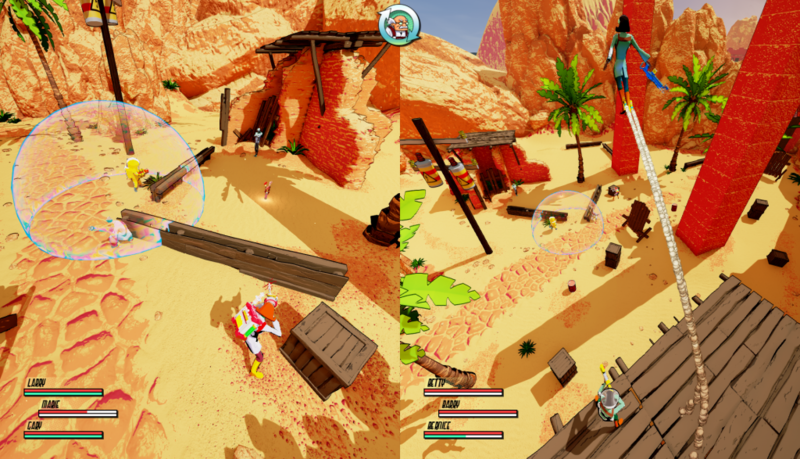 Research and Destroy is a distinctive turn-based action game, with a strategic world management meta layer. 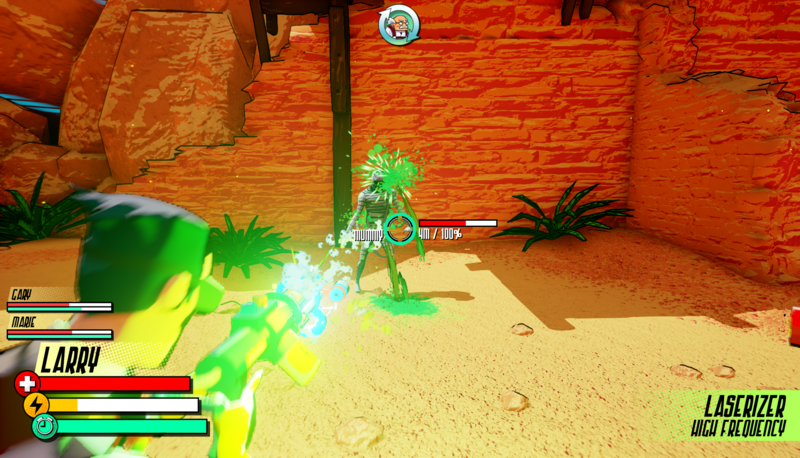 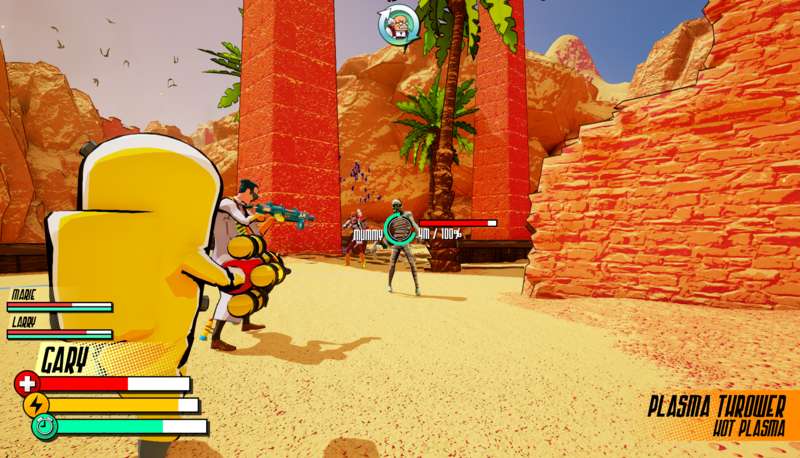 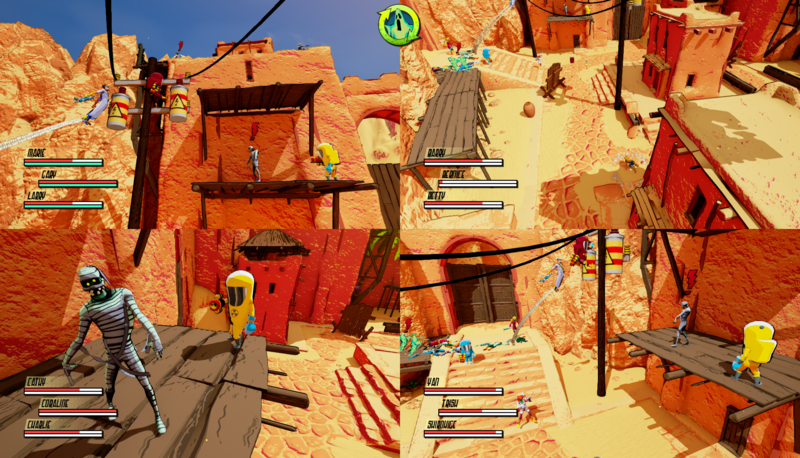 The action uses familiar Third Person controls. 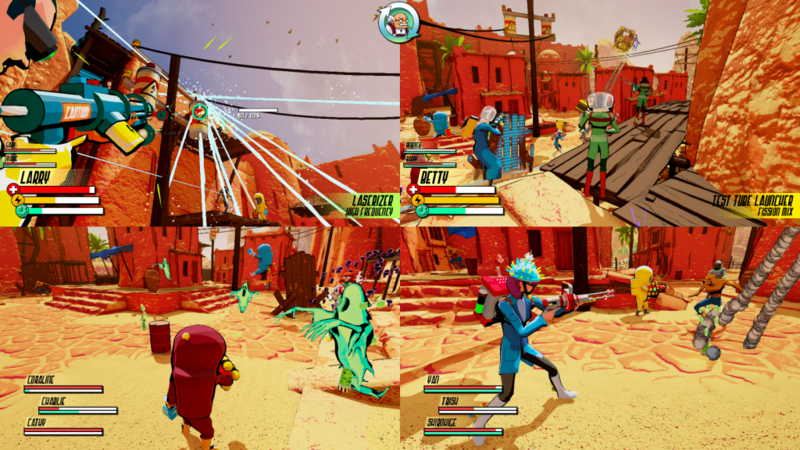 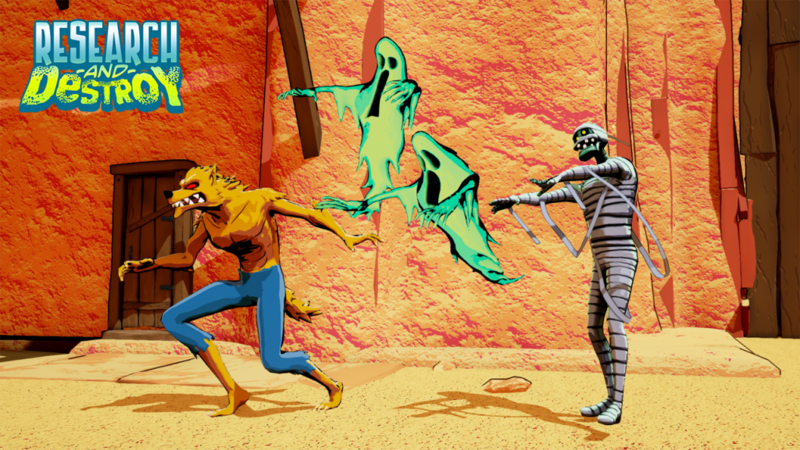 It features comic book, tongue in cheek stylings and is playable from beginning to end with up to four-players co-operating; online and/or in split-screen. 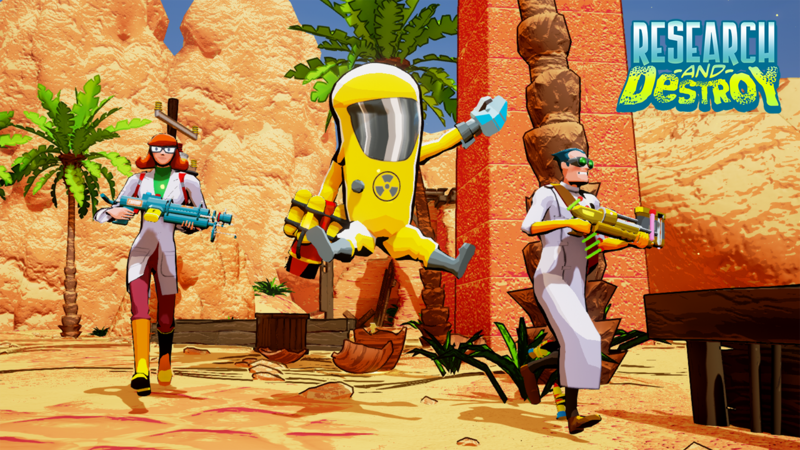 Implausible Industries is currently seeking funding for the development of Research and Destroy, and it will target home consoles and PC with a projected release in 2019. 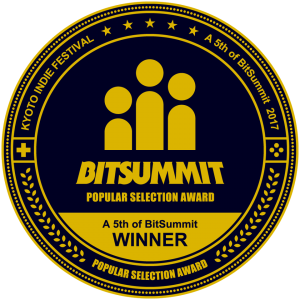 Research and Destroy was awarded the Popular Selection Award at A 5th of BitSummit in Kyoto in May 2017.